The company’s personal touch and respect for tradition resonate with its manager’s background. Hermans did not grow up in a family of contractors. “As a veterinarian’s son, I dealt hands-on with agriculture a great deal in my childhood, and tradition permeated everything in my environment”, Jan Hermans tells. Also the grandson of an entrepreneur in the fruit business, he found that horticulture wasn’t unfamiliar territory either. Respect for tradition, art, and precious elements of heritage were very important to his parents. This was probably the seed of his interest in historic buildings. 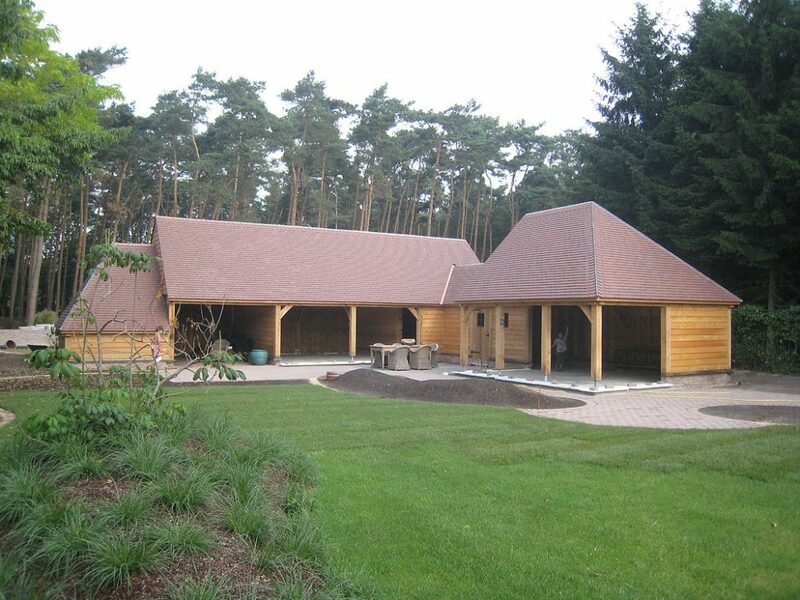 Even while still completing his studies, Hermans co-operated to build a traditional half-timber-framed house. Then, once his qualifications were complete, he chose wood construction techniques for his profession. Why wood? In its focus on an ecological and sustainable building method and on a healthy living environment, H3 was the pioneer in Flanders with its development of “Bio-Ecological Timber Framing. ”This was not without its risks, since these building methods were still very unknown at the time. 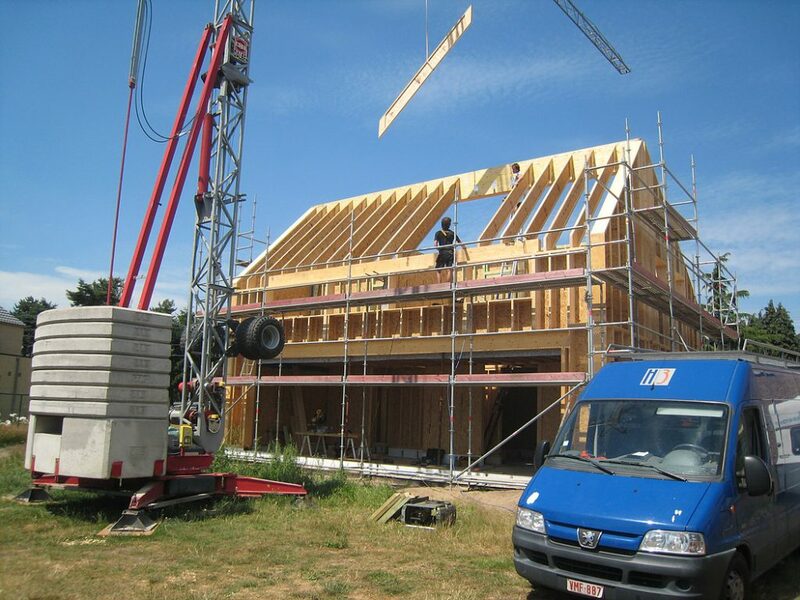 In the beginning, it was truly a fight to make a living while going against established values – the Belgians are said to be born with “a brick in their stomach.” In the years since, Hermans Hout & Habitat has, through perseverance and talent, achieved an important place in the world of timber frame construction. With eight employees and its one designer, the company deliberately remains a small one. This allows it to anticipate, much more easily, the demands of a market largely involving eccentric architectural designs from individual customers. That this is a small company does not, however, mean that there is no place here for modern technology. “From the very beginning, I was aware of the benefits of reliable software for supporting the construction of timber structures. Of my many contacts in the search for a suitable software partner, I found that CAD Serviceburo seemed the best match. As a VERTEX distributor, manager Jos Stals could deliver a reliable service – through his knowledge and that of his staff – this small software company exudes a lot of confidence and, more importantly, can deliver on those promises”, Jan Hermans assures. VERTEX Framer was the perfect starter software for H3. This was largely because the construction drawing module met almost all its expectations, more than the architecture component did. Moreover, the software was affordable, user friendly, and constantly evolving in line with user needs. When it got its start, in 2003, H3 limited itself to the design of prefabricated modules. Via the cutting-lists, the wooden frames were manually cut to order. In 2010, the company bought the Vertex NC Manufacturing Interface option. The cutting-lists are now sent directly to a CNC machine. In the brand-new production hall, the walls are still manually mounted on a pneumatic assembly table. H3 has invested in the future. This includes assembly of the walls – the near future will see deployment of a mounting unit with nailing bridge. Also, the use of the VERTEX software is now so vital to the company that a full-time designer is using it. “This meant an additional cost of course, but the investment paid for itself immediately in efficiency and profitability on the shop floor and in a lower error rate in performance. The risk of error is also greatly reduced, because everything is done in-house: preparation, drawing, prefabrication in the workshop, and on-site assembly”, reminds Hermans.